Adam Frederick is a board certified family medicine physician. He completed his medical training at Albany Medical College in New York and his residency at the University of Utah. As a recent transplant from southern California, he is looking forward to experiencing four seasons and doing more camping, hiking, running and biking. When not at work he enjoys spending time with his wife and two children as well as their golden retriever exploring the outdoors and particularly national parks. His clinical interests are sports medicine, preventive care and educating patients so that they can live their best lives and be collaborative in their medical care. Dr. Twombly received his M.D. degree from Baylor College of Medicine and completed his residency training in Family Practice at the Kaiser Foundation Hospital in Fontana, California. He is board certified by the American Board of Family Medicine and is a Diplomat of the American Academy of Family Physicians. His clinical interests include health promotion, disease prevention, evidence-based medicine and the role of exercise and nutrition in maintaining health. He and his wife have two grown daughters. When not at Intel, he enjoys running, playing music, and working on a four acre horse farm that he shares with his wife in Oregon City. He is looking forward to working with Intel employees and their families, assisting them to be as healthy as they can be. Kendyll Woods is a board-certified Family Nurse Practitioner. She graduated with a master’s of science in nursing from Pace University in New York City. Kendyll has worked in a busy emergency department in Manhattan for the past several years. While she loved the hustle and bustle of the city, Kendyll and her husband were eager to relocate to Beaverton, OR to raise their toddler son near family. Originally from Colorado, Kendyll is excited to be living in Oregon with its gorgeous topography and diverse outdoor activities. Dr. Scott Fuller was born and raised in Beaverton, Oregon and graduated from Beaverton High School. After suffering a serious sports-related injury in high school, Dr. Fuller was inspired to pursue a career in medicine. Upon graduating from the University of Oregon with a Bachelor's of Science in Human Physiology, he continued on to the University of Western States and graduated from there in 2012 with a Doctorate of Chiropractic and a Master's in Exercise and Sports Science. On the path to obtaining his master's degree, he worked with high school athletes both in the training room and on the field, as well as with professional athletes in the NFL, at triathlons and national volleyball tournaments. Dr. Fuller's general chiropractic philosophy focuses not only on the area of complaint, but also on restoring the body to allow pain free movement and optimal function. Holly Schaaf is a registered nurse, certified in emergency nursing. She graduated from the University of Maryland, School of Nursing in 1999 and began her career as an ER nurse at Oregon Health & Sciences University. Holly has worked at the Ronler Acres Health for Life Center since it opened in 2012. The combination of clinical experience, education and passion to teach has recently led Holly into the role of Condition Management nursing at the Health for Life Centers located at Jones Farm and Ronler Acres. As the condition management nurse her role is to teach patients about their disease process and empower them in the modification of health related behaviors which will in turn help to reduce the occurrence or severity of chronic disease processes. Sonja Skovsted is a Nationally Certified Physician Assistant. She received her undergraduate degree from Eckerd College in St. Petersburg, Florida with a Bachelor’s of Science in Biology and graduated in 2009 from Pacific University in Forest Grove, Oregon with a Masters’ of Science in Physician Assistant Studies. Since then, she has practiced in pediatrics, urgent care/family medicine and orthopedics. She is excited to be part of the Intel team and practicing medicine in an on campus outpatient health clinic. In her free time, she enjoys spending time with her two young children. Her clinical interests include orthopedics and sports medicine, pediatrics and working as a team to create the best medical care possible for each individual patient. Dave is a licensed psychologist, providing compassionate and patient-centered therapy in a primary care setting. Dave completed a doctorate in clinical psychology and a post-doctoral fellowship in health psychology in the integrated primary care model. He is available for brief interventions, diagnostic evaluations, and ongoing psychotherapy for individuals, couples, and adolescents. He has experience with multi-cultural patients and can provide therapy in Spanish. Dave received a year of specialized training and conducted academic research in psychotherapy with persons living with HIV. As a member of the American Psychological Association and board member of Existential-Humanistic Northwest, he brings and makes space for a broad range of perspectives to each patient encounter. Rachel Gilman is a licensed acupuncturist and board-certified herbalist. She completed her master’s degree at Oregon College of Oriental Medicine which was named the best acupuncture school in the nation. As an experienced practitioner, she knows acupuncture can be outside of many people’s comfort zone. Over the years she has made it her focus to help patients feel at ease with acupuncture, no matter their past experience or comfort level. Rachel is a native Oregonian and loves living in the Northwest! In her spare time she enjoys seeing live music, doing yoga and finding new restaurants around town. Kelly Griffin has been a Medical Assistant since 2011 with experience in family practice. She joined Premise Health in August of 2012 and transitioned to the Health for Life Center's Concierge role in April of 2015. 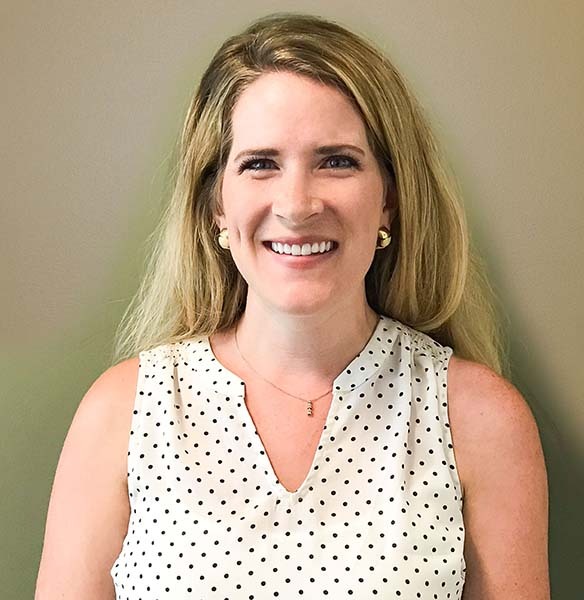 Kelly’s medical background and experience has allows her the advantage of being very familiar with your electronic health records, demographics, and our role within Connected Care. Kelly is an important member of the care team model assisting in the coordination of care, providing resources within the community, and helping navigate the healthcare system. Kelly serves as a point of contact for Intel employees and their family members. Wendy Woodward is a registered nurse with a certification in rehabilitation and wound care. Over her 38-year career she has worked in a variety of health care settings to include managing a primary care family practice, managing an orthopedic surgical practice and managing an in-patient ventilator dependent rehabilitation unit. Wendy returned to primary care in January of 2012 as the health center manager for the Intel Ronler Acres Health for Life Center. In September of 2013, her managerial role expanded to include the Jones Farm Health for Life Center. Her love has always been family practice and the relationships that develop with patients and families within the medical home. When not onsite at the clinics, Wendy enjoys spending time with her family, sailing with her husband on their 36-foot sailboat and hiking with her retired therapy dog, Abbey Marie. Melissa is a medical assistant with over 26 years of experience in primary care and pediatric clinic settings. She transitioned to the office manager position at the Health for Life Centers in May of 2016. Melissa provides direct support to the health center manager and assists patients in navigating the healthcare system. Melissa’s years of clinical and office experience provides her with a well-rounded understanding of the processes within the Health for Life Centers.